Devereux Advanced Behavioral Health, one of the nation’s oldest and largest non-profit providers of behavioral healthcare, announced it will host its first autism conference, Autism A-Z: Beyond the Puzzle, in partnership with Autism Delaware. The conference is Friday, September 30, 2016 from 9:00am – 4:30pm at the Chase Center on the Riverfront in Wilmington, Delaware. Autism A-Z will bring together leading industry experts, educators, medical professionals, social workers and families to share the latest insights, innovations and best practices in the study and treatment of autism spectrum disorder (ASD). Featuring keynotes by Deidre Donaldson, Ph.D. (Chief Clinical Officer, May Institute) and Peter Gerhardt, Ed.D. (EPIC School), the event’s format will allow participants to select from more than a dozen workshops led by industry experts. These sessions will cover a range of topics including education, technology, nutrition, behavior management, medication, housing, social skills and more. The conference will serve as a one-stop shop for those looking to advance their expertise in all aspects of ASD. CEUs/CMEs will be available for physicians, psychologists, teachers, BCBAs and social workers. Registration is required and open through September 23. Space is limited. For more information, please visit the Autism A-Z conference website, http://www.devereux.org/AutismA-Z. Devereux Advanced Behavioral Health is one of the nation’s largest non-profit organizations providing services, insight and leadership in the evolving field of behavioral healthcare. Founded in 1912 by Helena Devereux, the nonprofit operates a comprehensive national network of clinical, therapeutic, educational, and employment programs and services that positively impact the lives of tens of thousands of children, adults and their families every year. Focused on best practices emerging from a new understanding of the brain, its unique approach combines evidence-based interventions with compassionate family engagement. With nearly 7,000 employees working in programs across the nation, it is a recognized partner for families, schools and communities, serving many of our country’s most vulnerable populations in the areas of autism, IDD, specialty mental health, and child welfare. Programs are offered in hospital, residential, community and school-based settings. They include: Assessments; Interventions and Support; Transition and Independent Life Services: Family and Professional Training; Research and Innovation; and Advocacy and Public Education. For more than a century, Devereux Advanced Behavioral Health has been guided by a simple and enduring mission: To change lives by unlocking and nurturing human potential for people with emotional, behavioral or cognitive differences. Worries about language delay are often among the first concerns parents raise when they bring their child in for an autism assessment. There can be many reasons for a language delay, such as a language disorder, an intellectual disability, a hearing impairment, or even trauma or neglect. It can also be an early indicator of autism spectrum disorder (ASD). When: October 21 & 22, 2014 | 9 a.m. – 11:30 a.m. This FREE two-day seminar is designed for military parents or caregivers of children diagnosed with autism spectrum disorder. Presented by Dr. Hanna C. Rue, Executive Director, National Autism Center, and V.P. of Autism Services, May Institute. 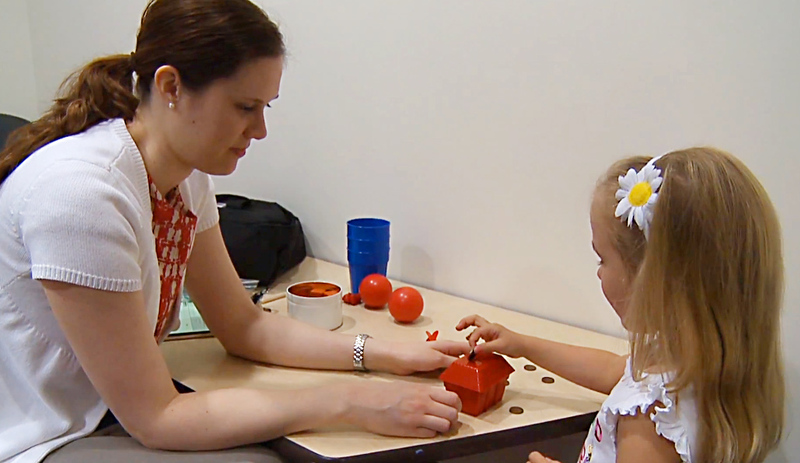 Autism rates soared by nearly 30 percent between 2008 and 2010, according to an April study from the Centers for Disease Control and Prevention. About one in 68 eight-year-olds was diagnosed with autism spectrum disorder in 2010—a rate that has more than doubled since the year 2000, when 1 in 150 children were identified.